NextGen stocks and installs a variety of one-way, two-way and app-controlled command starters - below are the most common questions our team gets asked everyday! 1) Will a command starter void my factory vehicle warranty? The Product Consumer Act of Canada is comparable to The Magnuson Moss Act in the United States. Installing remote starters simply does not, and will not void your manufacturer’s warranty. While dealerships are allowed to recommend against remote start systems, they can not advise that the warranty will be voided. Problems related to the command starter are not covered under the manufacturer’s warranty, but our lifetime warranty on labor would cover any repair costs. We are proud to say that we’ve never had to place a warranty claim of any kind after working on thousands of vehicles. 2) How long will you need my vehicle for the installation? Remote start installations can range from 1.5 hours up to 8 hours for high-end vehicles. Generally, we book the vehicle in for 4-8 hours to ensure we can complete a quality installation that will last the life of the vehicle. 3) How can I get a cost estimate? While inquiries can be made online, cost estimates are given in-person. Due to the wide variety of options available with remote start (auto defrost, heated seats and trunk release to name a few), a quick inspection allows our team to verify the features of the vehicle and check for previous installations. 4) My vehicle has a manual transmission - can I still get a starter? Absolutely! We stock and install manual transmission compatible starters. Installation of a motion sensor is required for safety reasons, but this isn’t anything our experts can’t handle. Due to the greater complexity of these installations, higher parts and labour charges may be factored into your estimate. 5) My vehicle has push-to-start - can I still get a starter? Yes! Push to start ignitions are not a problem, but some can come with quirks depending on your vehicle. 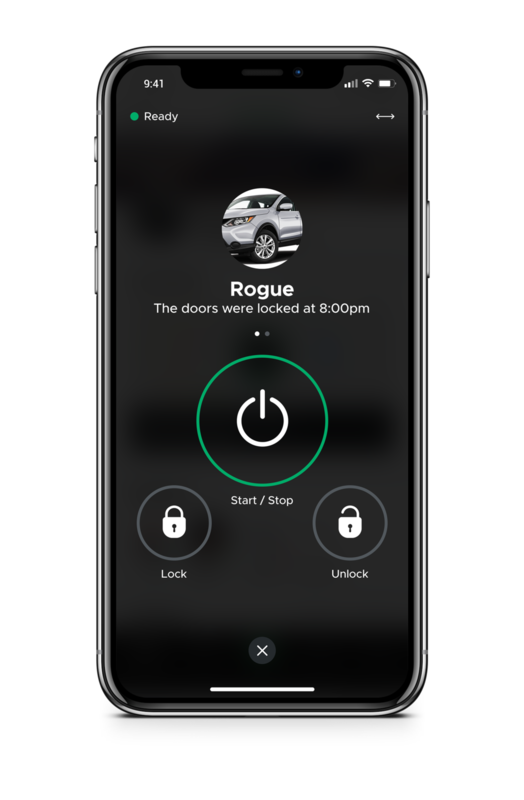 In some cases, the vehicle will automatically shut off upon opening a door. This is expected as the vehicle is unable to validate that the key is present. This is a safety mechanism that also prevents theft. If the vehicle shuts off upon entry, all you’ll need is the factory key to restart the vehicle as usual. 6) What’s the range on the starters you offer? 7) My vehicle has command start, but it’s not working properly - can you repair it? Yes, we do offer remote start repair and have access to all major brands available. 8) I would really like to keep my factory key - is that an option? It is possible with most vehicles, however, some vehicles require a key to be sacrificed in order for the remote start to work. This is a very rare occurrence and is only the case with a few German-made vehicles. 9) How long will the starter idle my vehicle for? 15 minutes is the default time most remote starters are set to run, with an unlimited number of starts. The runtime can be adjusted anywhere from 5 minutes - 35 minutes, to accommodate vehicles that take a longer time to warm the engine and cab. 10) I want to start my car with my smartphone - how does that work? With our app-controlled smart starter, download the companion app and create an account to login. Once logged in, opening the app will allow you to start the vehicle by tapping the “engine start” button. Some smart devices will allow you to control your car using widgets or your favourite voice assistant like Amazon Alexa, Google Home, and even Siri! Didn’t find the answer you were looking for? Don’t hesitate to contact us directly!